I made this delicious plate of food ages ago and only just realised that I didn't write a blog post for it. I stumbled across the photos as I was cleaning up my photo catalogs. And by cleaning up my photo catalogs, I mean attempting to sort through thousands of poorly sorted images and getting distracted by the ghost of meals past. It's a bit like when you get the old family albums out and go searching for that particular photo of you around age 3 with your big brother in the backyard swimming pool, and find yourself five hours later amid piles of old family photos with tears of nostalgia in your eyes... kinda like Sparky in the attic in Christmas Vacation. 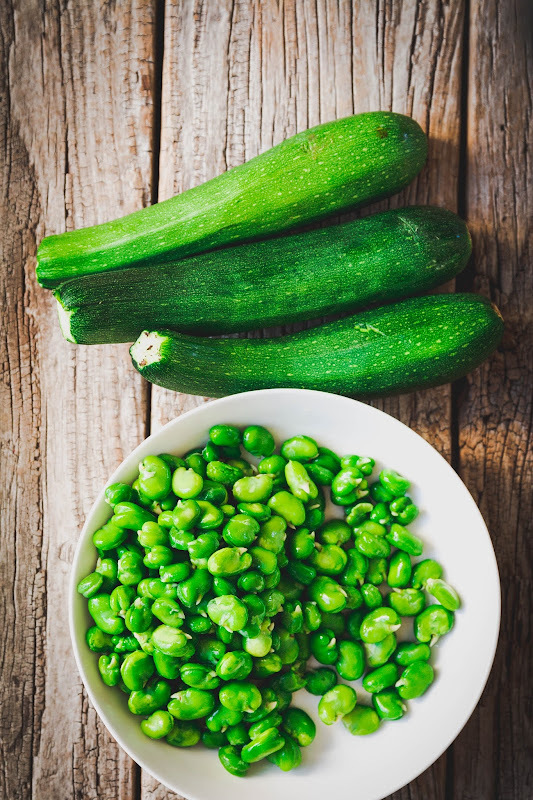 Bring a pan of water to the boil and blanch the broad beans and spinach for about 30 seconds. Remove with a slotted spoon and plunge into iced water to stop them cooking. Drain well. Reserve 50g of the broad bean set them aside. Put the remaning beans and the spinach into a food processor along with the miso and 1 tablespoon of the oil and blitz until smooth. Add a splash of water to loosen the puree if needed. Season to taste. Pour the remaining oil over the zucchini. 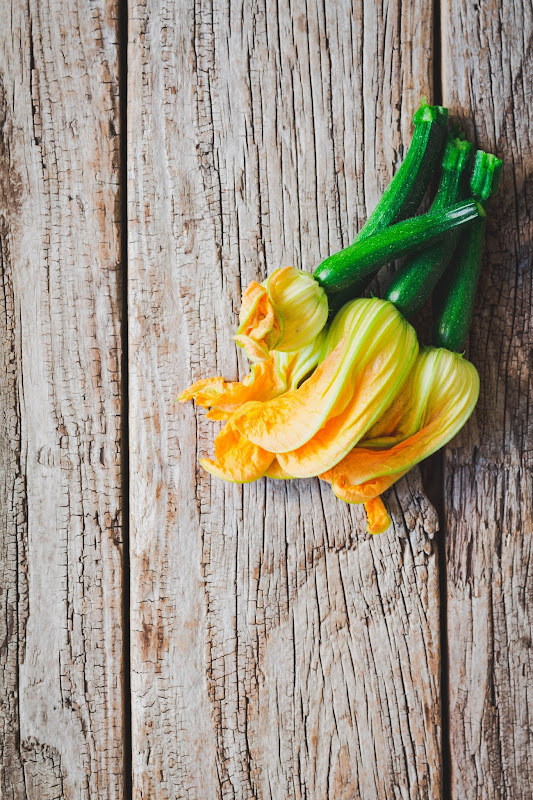 Heat a grill pan over high heat and grill the zucchinis until they are tender and charred. 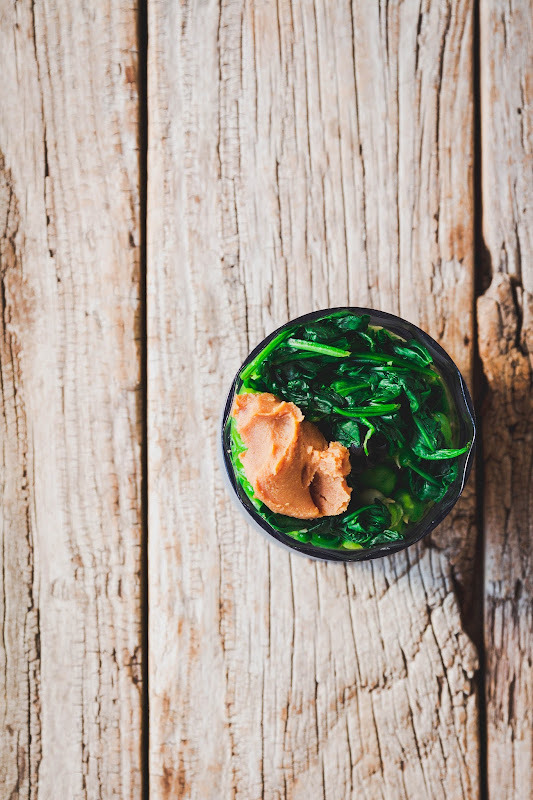 Spread the broad bean miso over the base of a serving plate. 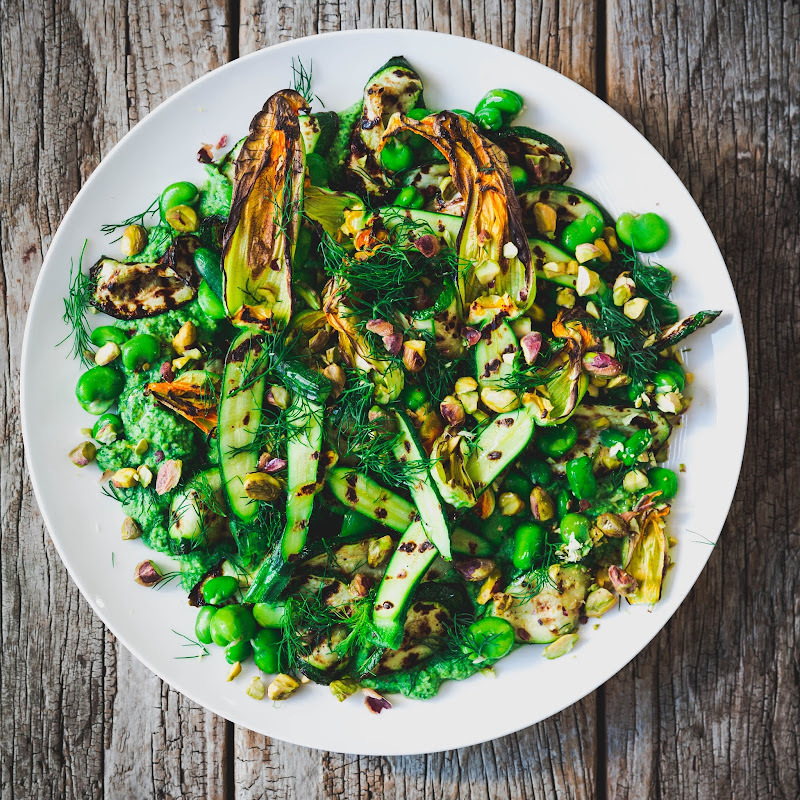 Top with charred zucchinis and their flowers and sprinkle over the reserved broad beans. 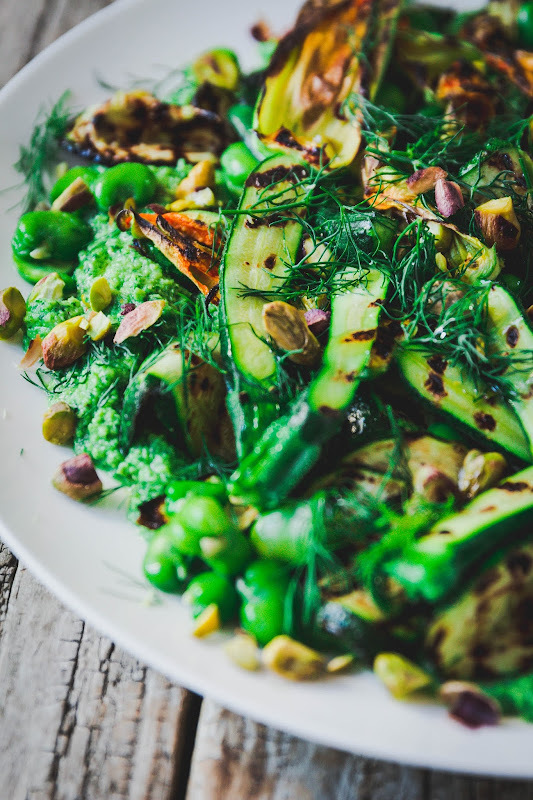 Scatter with pistachios and dill fronds and an extra drizzle of olive oil.